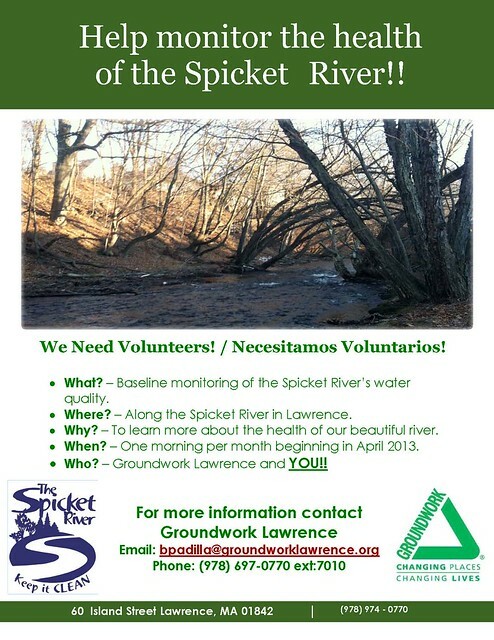 Help Monitor the Health of the Spicket River! 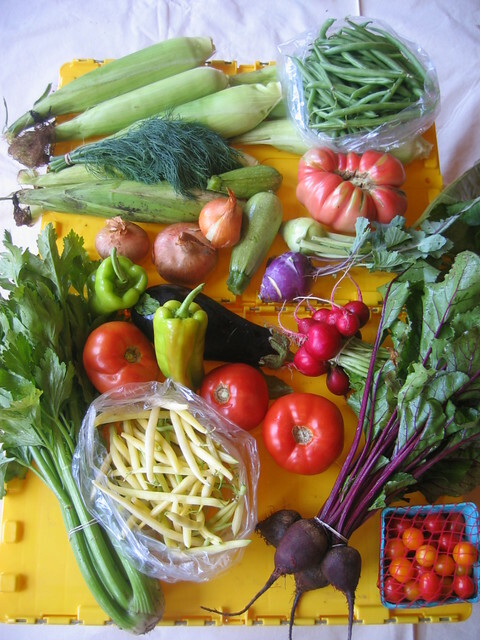 Farmer Dave's CSA 2013 Registration now open! 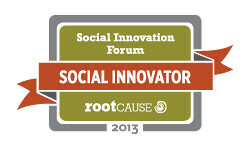 As you may know, Root Cause's Social Innovation Forum has selected Groundwork Lawrence from a pool of over 100 applicants as one of five 2013 Social Innovators! Part of the Social Innovation Forum's role is to help us think more broadly about the field in which we work. With this goal in mind, the Social Innovation Forum will host a series of "Social Issue Talks" throughout the month of March. Groundwork Lawrence will be featured at a public health focused event on March 7th from 11:30 am - 1:00 pm at Rackeman, Sawyer & Brewster in Boston. First, we will hear from Dr. Lauren Smith, Interim Commissioner of the MA Department of Public Health, who is an expert in community strategies that promote healthy living. Then, our own Heather McMann will present for a few minutes about Groundwork Lawrence's work and current level of impact. We hope you'll join us. Click below for the invite and to RSVP. 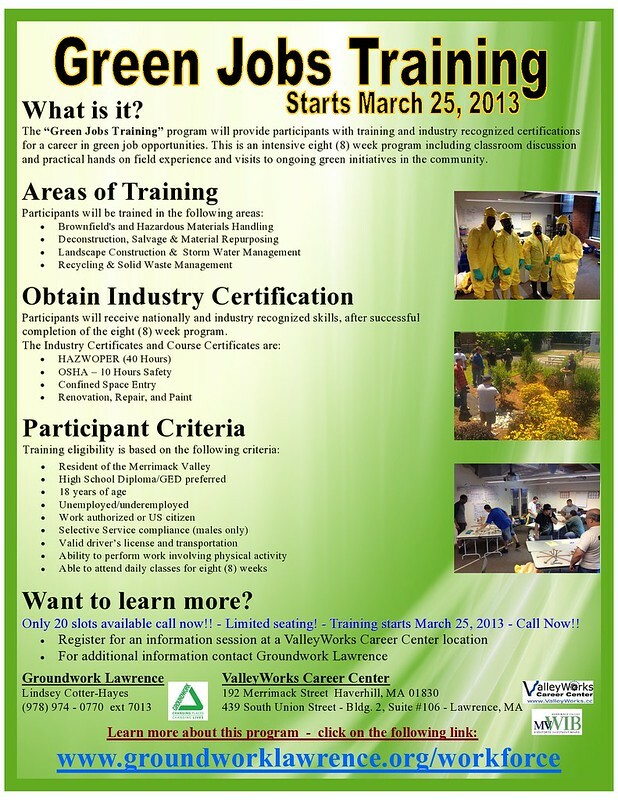 Green Jobs Training Begins March 25! Lawrence has begun to re-imagine itself with a bright green future. The historic mills along the waterfront on the Merrimack are being renovated for sustainability, solar panels are going on roofs, the Spicket River is being cleaned up and restored with new parks and paths, polluted building lots are being cleaned up and community gardens built. Sustainability is becoming the key to Lawrence's future. 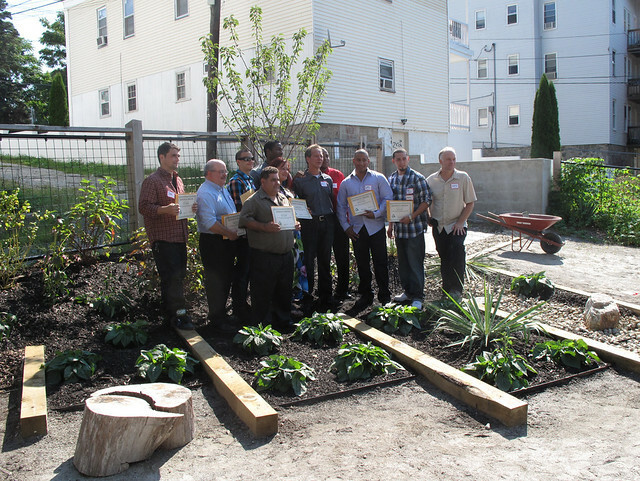 Groundwork Lawrence, in partnership with the Merrimack Valley Workforce Investment Board, has received a grant from the EPA to provide FREE training to local unemployed or underemployed individuals in the skills required to be a part of this exciting new sustainable future for the city.